BRA5000: Italian Bidet Spray: Style and Italian craftmanship. 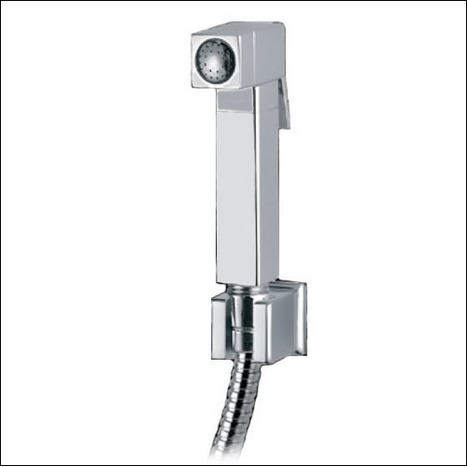 The bidet shower head is beautifully crafted in Italy from solid brass with mirror chrome finish. 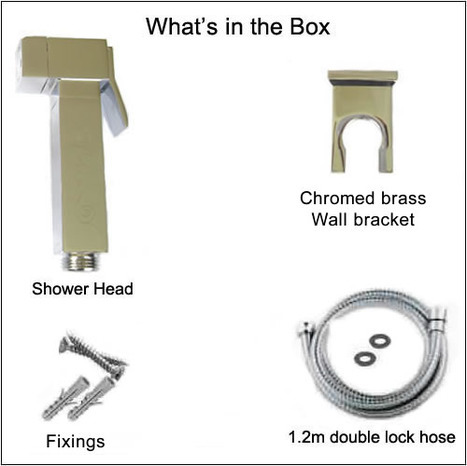 Bidet shower head with water control trigger The bidet shower head is manufactured in high grade brass with a mirror chromium plate finish. 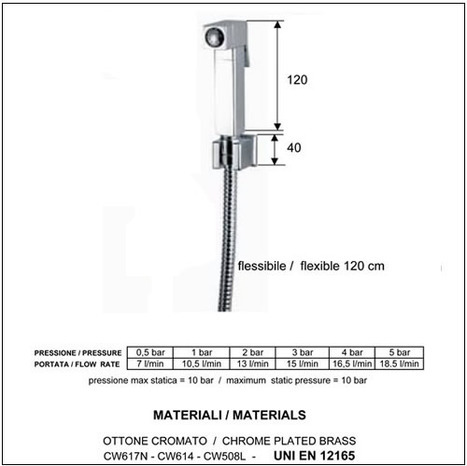 Weight of shower head, around 400 grams.When only the best is good enough. The bidet shower head is beautifully designed and crafted in solid brass with mirrror chrome finish. Manufactured for us by one of Italy's most prestigious shower manufacturers in their state of the art factory in Milan, Italy. 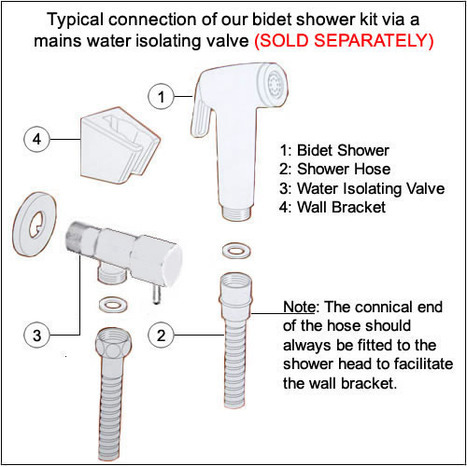 Bidet shower head with water control trigger The Bidet shower head is manufactured in high grade brass with a mirror chromium plate finish. Weight of shower head, around 300 grams.